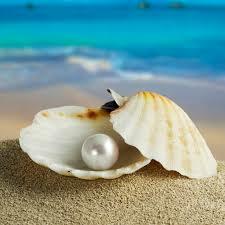 Pearl Powder is a beauty and health secret. This is believed by some to be good for bone development and to promote healthy lustrous skin. Pearl powder keeps skin clear and smooth, leaving it with a sheer radiant glow and contains proteins which can help renew skin cells. Warm Neck Wrap, Callus Removal, Paraffin Wax & Hot Stone Massage included. Chamomile will create a sense of peace and tranquility. The relaxing scent of Chamomile will alleviate the harsh reality of your stressful day. Effective therapy for anxiety! Relax with chamomile. Warm Neck Wrap, Callus Removal, Paraffin Wax & Hot Stone Massage included. Jelly-Pedi is truly a unique spa experience. Jelly-Pedi turns water into a luxurious encasing comfort which provides the ultimate relief for stress and aching muscles. Warm Neck Wrap, Callus Removal, Paraffin Wax & Hot Stone Massage included. Pumpkin makes an excellent ingredient for all skin types, especially environmentally damaged or sensitive skin. High in vitamin A (skin healing), C(anti-oxidant) and Zinc. The pumpkin soothes, moisturizes and acts as a carrier, assisting the other mask, ingredients to absorb deeper into the skin and intensifying the results. Warm Neck Wrap, Callus Removal, Paraffin Wax & Hot Stone Massage included. Ginger can help reduce breakouts by cleansing pores and drawing toxins out of skin. It is helpful in decreasing inflammation from a recent breakout or healing scar. Ginger also has antifungal properties and is a natural way to treat athlete's foot. Warm Neck Wrap, Callus Removal, Paraffin Wax & Hot Stone Massage included. This is our ultimate pedicure: purely indulgent, truly luxurious and a delicious fragrant treatment inspired by the fruit of the vine. The anti-oxidants in the champagne helps restore vitality to your skin while the salt nurtures your stressed skin. Warm Neck Wrap, Callus Removal, Paraffin Wax & Hot Stone Massage included. Designed with lemongrass lovers in mind, this relaxing aromatic pedicure uses organic oemongrass enriched with dead sea salt to remineralize and help detoxify. It also contains essential argan oils from Morocco and Botanical extracts to help stimulate, refresh moisturize and sooth. Warm Neck Wrap, Callus Removal, Paraffin Wax & Hot Stone Massage included. Warm Thai coconut milk is generously poured over your body melting away stress as you are massaged with a decadent mixure of sea salts, fructose & coconut while showered with tantilizing rains.As you close your eyes you will be carried to far tropical lands and your body relaxed, hydrated and nourished. Warm Neck Wrap, Callus Removal, Paraffin Wax & Hot Stone Massage included. Pina Colada is perfect for those long, sun deprived winter days. It is adventurous, new and wonderful. This combo is a great source of vitamin C & vitamin B1 (Thamine) which helps cleanse the skin and clear your pores as well as get rid of dead skin cells. Get clearer, smoother looking skin. Warm Neck Wrap, Callus Removal, Paraffin Wax & Hot Stone Massage included. A delightful way to relax, soften, and disinfect the skin. Citrus scrubs are used to exfoliate and add antioxidants to the skin. Freshly sliced oranges are rubbed to cool and close pores with refreshing juices. This natural remedy exfoliating concoction contains alpha hydroxyl acids as a natural antibacterial agent. Warm Neck Wrap, Callus Removal, Paraffin Wax & Hot Stone Massage included. Mango is jam packed with powerful photochemical and antioxidants that will give your skin the nourishing boost it needs. Rich in vitamin A and C, Mango will revitalize and rejuvenate the skin as well as lock moisture into dry skin cells which promote skin elasticity and slow down skin aging. Warm Neck Wrap, Callus Removal, Paraffin Wax & Hot Stone Massage included. Mint can help fight against dry skin, for a cream infused with mint or mint oil. Foot moisturizers are essential to keep your feet and toes smooth and free of tough skin. The mint-leaf mask can also be used on the feet to get rid of cracked or rough skin that may appear on the bottom of your feet or heels. Warm Neck Wrap, Callus Removal, Paraffin Wax & Hot Stone Massage included. Our golden honey pedicure begins with soak in honey-infused milk to moisturize your feet followed by a sea salt exfoliation which will reveal fresh new skin. The treatment is followed by conditioning with a milk and honey complex oil. Warm Neck Wrap, Callus Removal, Paraffin Wax & Hot Stone Massage included. Contains bromelian, an enzyme found in pineapple which breaks down proteins, exfoliates the dead skin from your feet without the use of abrasive ingredients, leaving your feet fresh and glowing as well as smoother. Warm Neck Wrap, Callus Removal, Paraffin Wax & Hot Stone Massage included. Lavender mask moisturizes the skin, leaving it with a silky smooth and nourished feeling. They will restore the limberness of your skin by replenishing the water content. It helps in removing dead skin cells, bacteria and toxins from the skin. Warm neck wrap, callus removal and your choice of paraffin wax OR hot stone massage. Exfoliating and moisturizing citrus scrub with fresh orange slices, firming mud mask wrap in hot towel, and warm paraffin treatment will restore that healthy glow. Warm neck wrap, callus removal and your choice of paraffin wax OR hot stone massage. Formulated with nature's most soothing and effective botanical, the Green Tea restores soles with treatment options that refresh and re-energized. Warm neck wrap, callus removal and your choice of paraffin wax OR hot stone massage. This combo consists of ingredients that exfoliate and loosen dead skin cells and dryness leaving you fresh and glowing.Honey keeps the moisture on your skin and reduces the effects of skin age as well as keeps the skin looking smooth, osft, young and healthy. Firming mud mask wrap with hot towel and callus removal included. This service includes nail care, cuticle details, sugar scrub, hot towel wrap, lotion massage and finish by your choice of nail polish.